According to an online dictionary, innocence is the “lack of experience of life or knowledge of the bad things in the world.” Indeed it is. However, in life, there are a lot of ways to define one word and sometimes, having the innocence of a child is better than anything presented to us on the table. And for children, the beauty of their innocence is best seen during the most wonderful time of the year. For most people, there is a once-a-year event that they always look forward to: Christmas. I, for one, had the same sentiment for more than 10 years of my childhood experience. 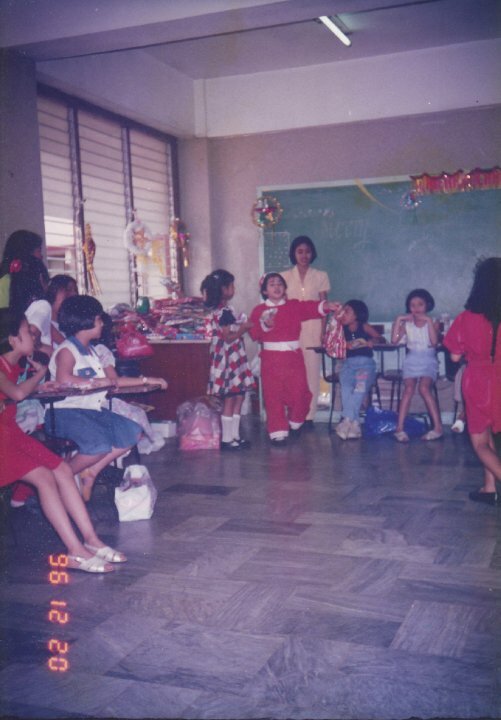 Dressing up as the Class Santa every Christmas party during my elementary days, listening to Jose Mari Chan’s never-ending “Christmas in Our Hearts,” and of course, attempting to spy on the “real” Santa Claus every Christmas Eve was how I celebrated my Yuletide Season. As a child, I’ve always been excited to receive Santa’s gifts. Come December time, I’d always give a letter to my mother, addressed to Santa Claus in the North Pole, with my Christmas wish list written on it. And yes, in those years, I believed that we can always get what we want. Whenever December 24 arrived, I would hang a pundang unan at the foot of my bed, stare at the starry sky — imagine that the stars suddenly formed a new constellation in the shape of Santa and his reindeers, and finally go to sleep with the plan of waking up in the middle of the night to catch a glimpse of him, but I never had the chance to do so. One time, I even tried to leave him a tetra-pack of Nestlé Chuckie and some cookies near the windows, and surprisingly, it was gone the moment I woke up the next day. Little did I know that that would be my first and last attempt to do just that. 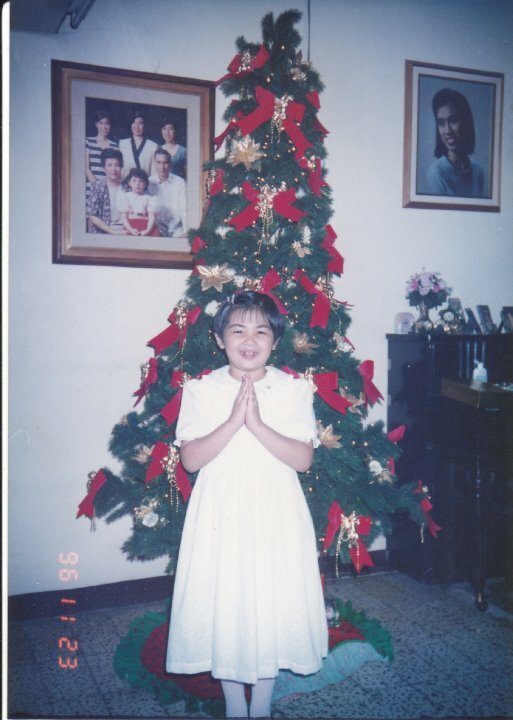 On that Christmas Day, I believe I was 10 years old, and I woke up to the smiling faces of my parents. The first thing I did was see the already consumed chocolate milk and cookies I left for the Red Old Man near the windows, complete with crumbs, and on my peripheral vision, I saw my gift-filled pundang unan, overflowing with the things I wrote on my wish list. As always, there was a letter from him, sealed with his signature, kiss mark, and even traces of his long white beard. After unloading my pundang unan, I turned to my parents to let them see my very overwhelmed expression, but when I looked at it again, there it was, filled with more presents! I thought, “Wow! It’s like magic!” And I guess my excitement got a little infectious for my sisters also showed up at the door to see what the commotion was all about. Of course, I believed them that time when they said that Santa’s magic was at work indeed. Among the number of things I received, two made their mark on me. First, a transparent turquoise Tamagochi-shaped watch, which I used for the rest of my elementary days until it finally gave up on me; and second, a blue Hello Kitty nail-cutter, which for some reason I found cute even though I was not a big fan of that white furry animal from Sanrio Land. This’ll forever be in my memory for that very nail-cutter was the one that robbed me off of my so-called “innocence” just a couple of hours later. During lunch, our other relatives arrived in our house and I hung out with my cousins. One of my female cousins, Terree, had always been one of the closest to me. In the middle of chatting and laughing, my mother interrupted us and handed Terree her gift. At first, I was excited for her to open it. But when she did, I was shocked: she received the exact, same Hello Kitty nail-cutter, except for the fact that hers was pink. Again, pink! The first thought that came to my mind was how could Santa give me the blue version when I was the one who loved the color pink? But I let that go for a couple of minutes because the nail-cutter was just a bonus anyway and not really part of my original wish list — until I realized something. It finally dawned on me that hey, wait a minute, my mother was the one who gave my cousin the nail-cutter and not Santa. If that was so, why in the world are they so similar, even the gift-wrapping? And as if on cue, I stood up from my chair and began questioning my mother. At first, she tried her best to deny it but because of my persistence, she finally gave up. She told me everything I needed to know. And just like that, I bid goodbye to Santa Claus all because of a Hello Kitty nail-cutter. 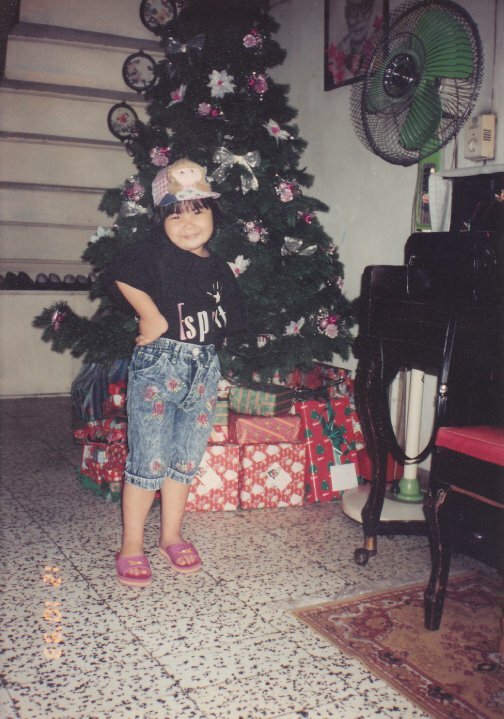 ...back when I still believed in Santa! teehee. It turned out that every year, my letter to Santa was my mother and father’s way of knowing what I’d like to get for Christmas. Obviously, they never got to arrive in the North Pole because all those years, my mother kept them in her drawer from work, just below her office desk. I should’ve known better because all those Christmas years, I always wondered why Santa used the same gift-wrapping as the other presents in our house, and whenever I received Santa’s letter, I always had the intuition that Santa’s handwriting was similar to Papa’s, or that his kiss mark had the same shade as Mama’s lipstick. And yes, I found out that the traces of his long “white beard” were actually pieces of cotton shards. I tried to question them but I wasn’t that persistent yet — hence, more years of visits from Santa. And that “Santa magic” where my pundang unan miraculously had gifts for the second time around? My sisters were to blame for it. The morning before I found out that Santa was just a product of every child’s imagination and I turned to my parents to let them see my very overwhelmed expression, that was the time when my sisters sneaked their way into putting my additional gifts behind my back — literally! They then returned to their room, only to come back again to see my excitement. As for those chocolate milk and cookies I left for Santa near the windows? Apparently, the cookies were eaten by our helper on purpose, and hid the chocolate milk in our oven where I wouldn’t most likely look for it. Up to now, I’m not sure if the Hello Kitty nail-cutter was my parents’ way of telling me gently that I’m already old for my Christmas friend, or if it was just really a life-changing honest mistake. But whatever it is, I’m thankful that my parents were able to let me have my fair share of Christmases with Santa, which lasted for the first decade of my life, because they taught me how to appreciate the things around me, material or not. Most importantly, that incident may have forced me to say “goodbye” to my innocence about the existence of Santa Clause, but it also opened a door for me to say “hello” to the real essence of Christmas — that giving is much better than receiving, just like the way God gave His Son, Jesus, to us and receive Him in our lives.